Jypyä Pop (Turku, Finland) on 16 November 2018 in Animal & Insect and Portfolio. wet, yes .... but extremely interesting! I had two cats, that I went on a leash ... in full city in Paris in my district. @yoshimiparis: I am surprised at how many people who carry the cat that way outdoors. It's only revealed to me when I started publishing Leevi's photos here and in Instagram. From there it will find the title of armandjurmu. Cats don't really like wet feet. @kiwisa: It is true, Leevi hates it. @Ralf Kesper: Yes, it is. Enjoy the wet ground ! Leevi en balade ... Superbe. caresses pour lui. Poor Leevi. Maybe get him some cat booties! Hello handsome Leevi. I love to see you out exploring. Beautiful photo ...even if it is wet ...! 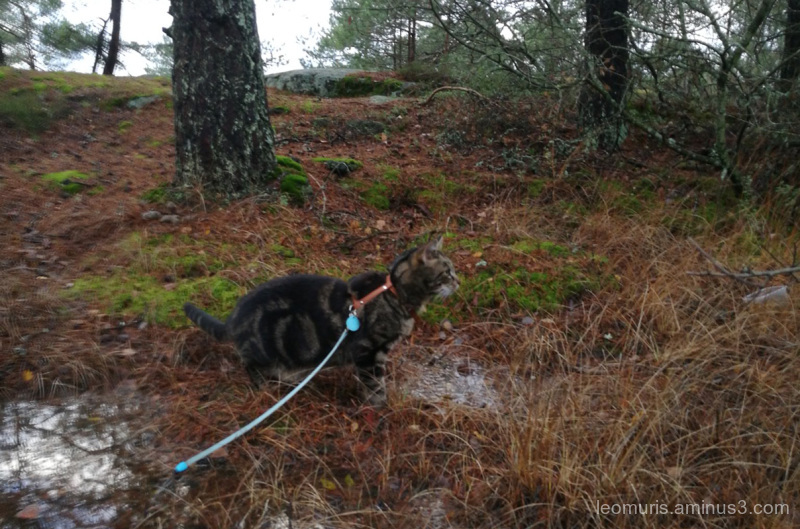 Hi Leevi ... it's good to be out, no matter the weather. I bet you prefer to be home warm! @Adela Fonts: Well, sometimes it is true, but now it is interesting to a little outdoor exercise. He's getting cold and wet but is still quite alert. What a guy! @Steve Rice: When you are careful, you do not get wet and can be outdoors in worse weather.